The White House must give Congress 90 days notice before opening talks to revise the trade pact. WASHINGTON: The United States already is in a trade war with other nations, but only now is beginning to fight back, US Commerce Secretary Wilbur Ross said today. 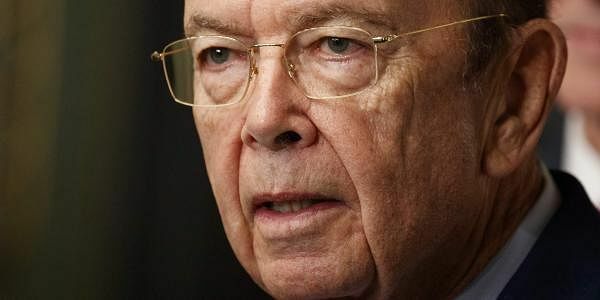 In a continuation of the Trump administration's unapologetically aggressive trade policy, which views trade deficits as a national security threat, Ross said, "we've been in a trade war for decades, that's why we have the deficits." But, "the difference is our troops are now coming to the ramparts," he said in an interview with Bloomberg Television. President Donald Trump has threatened to impose unilateral tariffs on goods imported from Mexico and China, criticized Germany for its surplus, pulled out the 12-nation Trans-Pacific Partnership, and pledged to renegotiate the North American Free Trade Agreement. But Ross downplayed the threat of a damaging trade confrontation. "It's not going to be a shooting war. If people know you have the big bazooka, you probably don't have to use it," he said. Ross said renegotiation of NAFTA would not begin until the late in the year and hopefully will not last more than a year but noted "these are very complicated issues." "I would like the results tomorrow, but that is not the way the world works," he said, adding that implementing the renegotiated terms with Canada and Mexico will take some time. The White House must give Congress 90 days notice before opening talks to revise the trade pact. Any NAFTA member can withdraw from the agreement with six months notice.